I’m fairly new to the Houston area. I moved here about a year and a half ago and have become obsessed with palms and tropical plants. All the nurseries I’ve been to have the same stuff. Are there any nurseries in the are that sell kentiopsis, or chamaedorea radicalis, maybe a majesty with a trunk? Thanks for your help in advance. In short, no. I have been looking for several years now, and it's pretty much all the same old. Your best bet by far is Caldwell's in Rosenberg. They have had Phoenix reclinata, small Becarriophoenix alfredii, Dypsis decaryi, etc. in the past. You may have to seek elsewhere for rare tropical stuff. Order in or plan a long trip. Some local nurseries carry one or two "rare" palms for a season and then they don't carry them again. 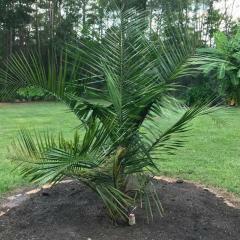 TexasColdHardyPalms in the DFW metroplex (IPS member on this forum) has an excellent selection of palms that will succeed here and they are well grown. Have you tried Palm Professionals in Sugarland? I don't have any experience with them other than a phone call but they have quite a variety - although they are pricey. The selection isn't great around here, but like has already been recommended, do check out Caldwell. Also you may want to try Maas Nursery down in Seabrook. I have seen kentiopsis there along with several different kinds of chamaedorea, chamaerops, serenoa, sabal, phoenix, mules etc. If you are looking for a better Sabal selection, I recommend making a weekend trip to Austin and go to Barton Springs Nursery where you could get your hands on Sabal Uresana, Riverside, Mexicana, Brazoria in a variety of sizes. Great. I have some new places to check out. I’ve looked at Palm Professionals and, yes, they are expensive. I will definitely look at the place in Rosenberg and Seabrook. Thanks everyone. Maas gets some interesting stuff, but they are pretty expensive. Agreed - I forgot about them. Moon Valley has a lot of big stuff and are expensive as well as I recall...but another option. Moon Valley is really expensive. 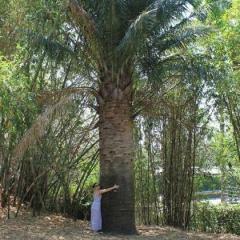 For big palms I go to Verdant Tree Farm. They are more reasonable. I'd also look into Peckerwood Gardens in Hempstead. Not necessarily for palms but a great resource for all sorts of hard to find / just coming into cultivation rare stuff. Used to be directly connected with Yucca Do Nursery which closed awhile back. I grow lots of radicalis as they are zone 8 palms. Everything I grow will thrive in Houston, other than brahea armata. We have over 85 species of palms available. One of these days I’m going to do that. It’s just hard to find the time. I’ve been wanting an adonidia. I know. They aren’t even marginal here, but I want a potted one for my patio that I can bring inside on the cold nights. Maybe I can find one there. I drive through the DFW area a couple times a year. Next time I’m in the area I’ll look you up.